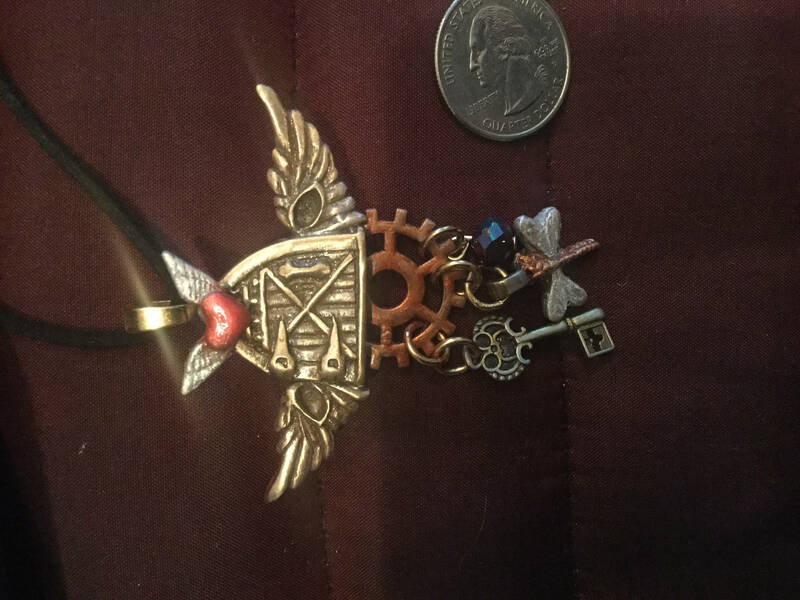 ONLY, one of a kind, STEAMPUNK necklace. Center piece is a brilliant ROSE BRONZE in a pattern that is like a medieval wooden door. 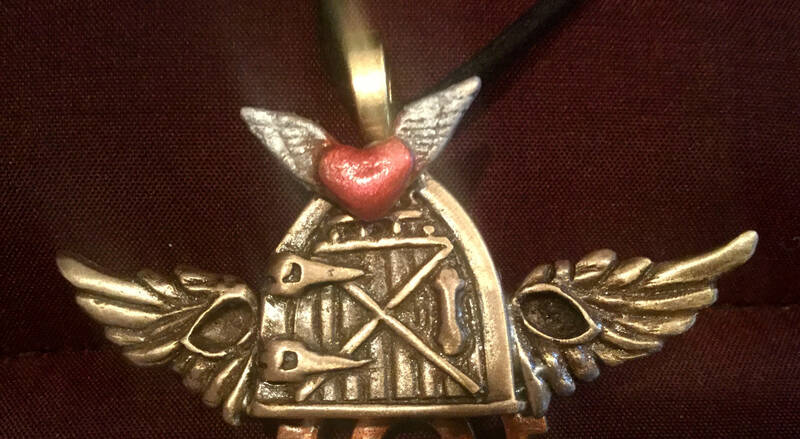 Attached to that are wings, a heart with wings, a large steampunk gear in copper. 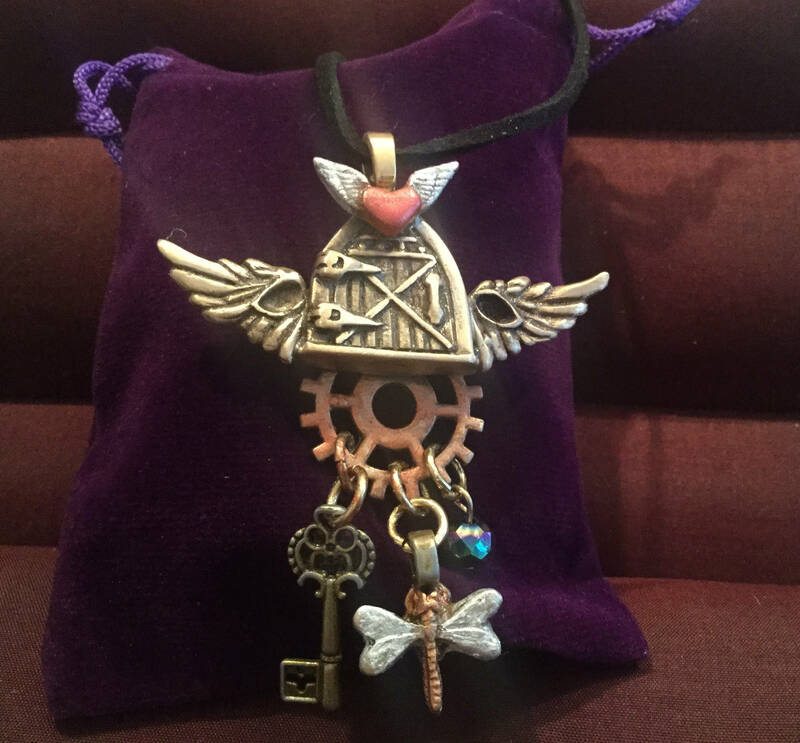 Hung from the gear are a multi faceted gem stone in blues and purples, a Victorian key and a silver winged dragon fly. 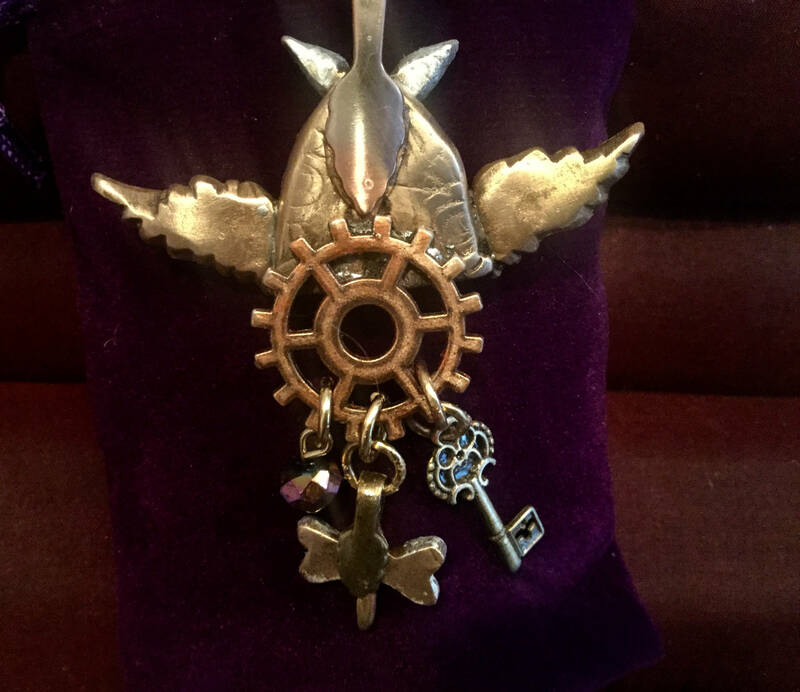 To this hand crafted piece is added a cog from a mantel clock. 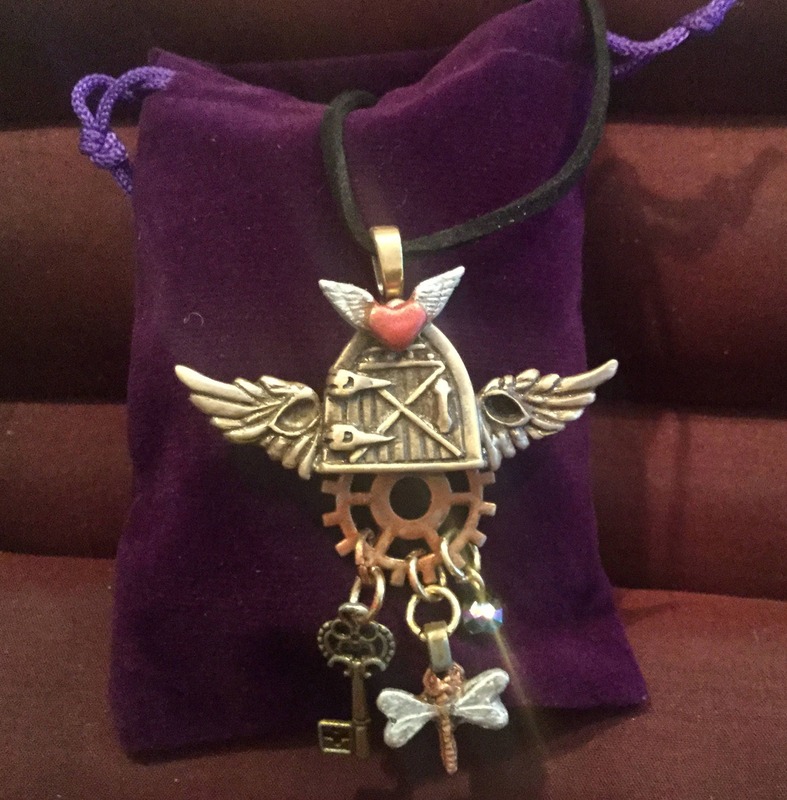 My cogs and wheels used in steampunk are from actual watches and pocket time pieces which I purchased from a former watchmaker in Germany who recently retired. Hung from a 20” black suede cord. 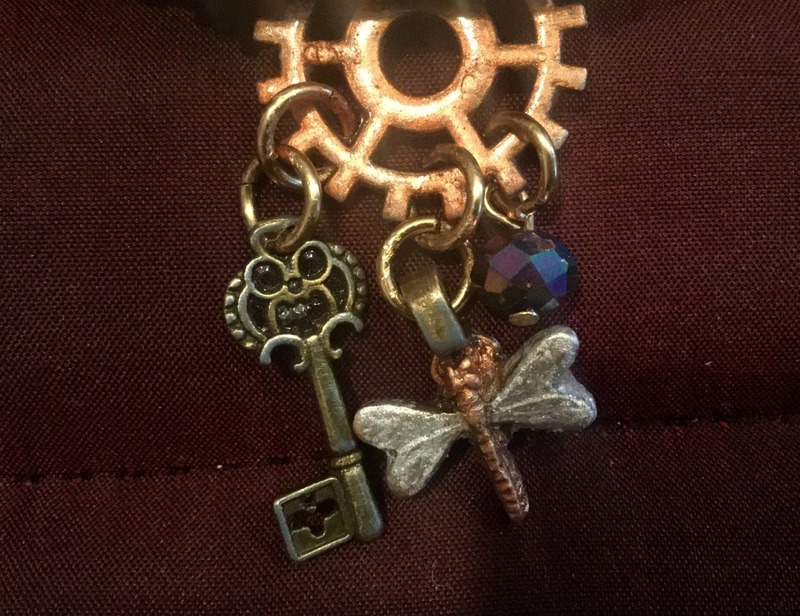 I enjoy making steampunk fantasy pieces and adding parts that move and sway as the wearer moves. It adds fun and a fluidity to the work. Note the SIZE - photo with the quarter as a reference. I photograph close-in which often makes the pieces look very large. The quarter is there for comparison of size. STEAMPUNK is an esthetic that combines late Victorian with the Industrial Revolution and then mixes in a dash of Science fiction. 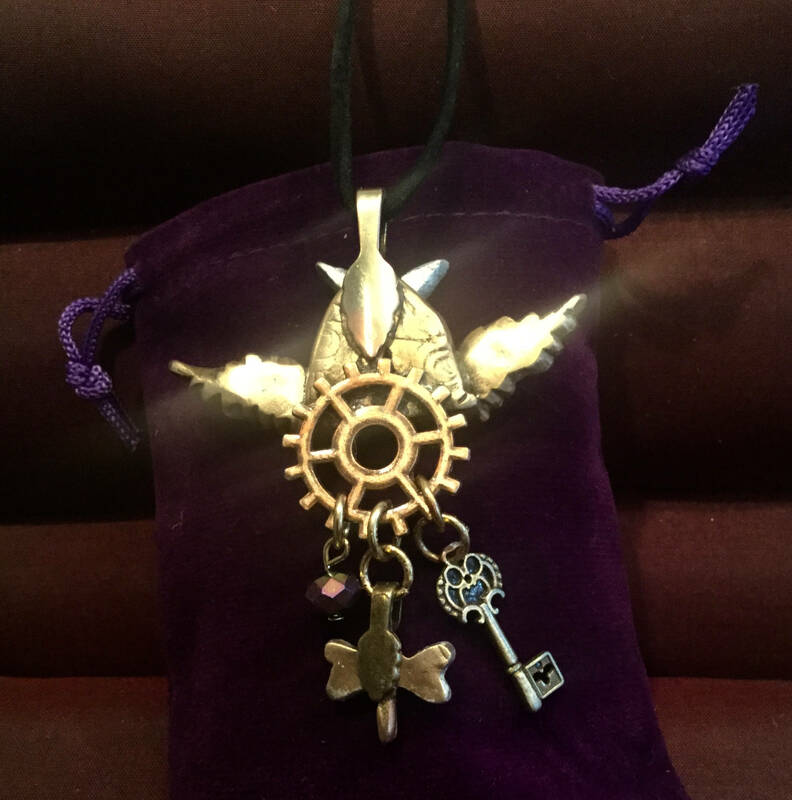 It is characterized by wheels, cogs, keys, locks, keyholes, nature, fantasy, feathers, top hats, leather wear, gadgets and kizmos, goggles, and all things relating to the planets and heavenly bodies. In short, it is wonderful fantasy! NOTE: STEAMPUNK pieces are NOT for children. They are not toys even though many times I include something that moves or turns in the piece, just for fun. 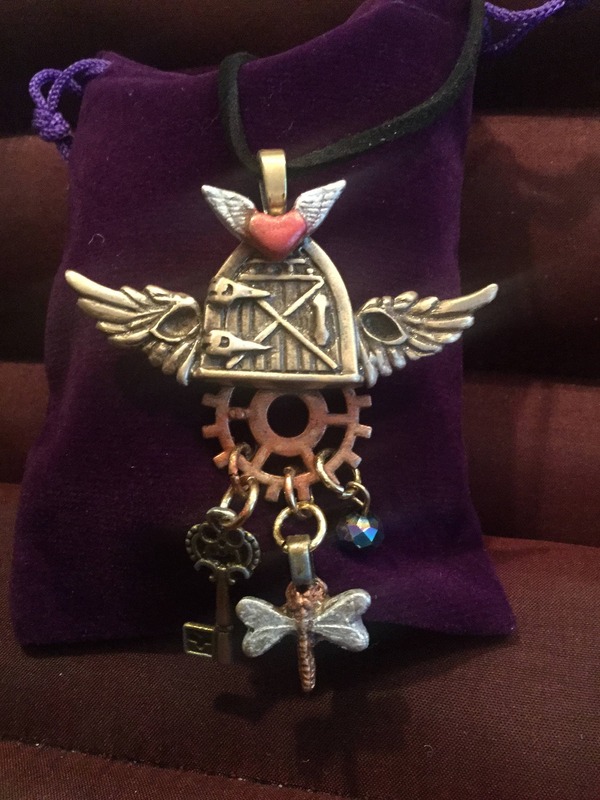 This is perfect for people who love one of a kind, and Steampunk enthusiasts.